South Africa bowling coach Charl Langeveldt believes that Kagiso Rabada's return is a timely boost for the team ahead of the third Test match against England starting at The Oval in London on Thursday. 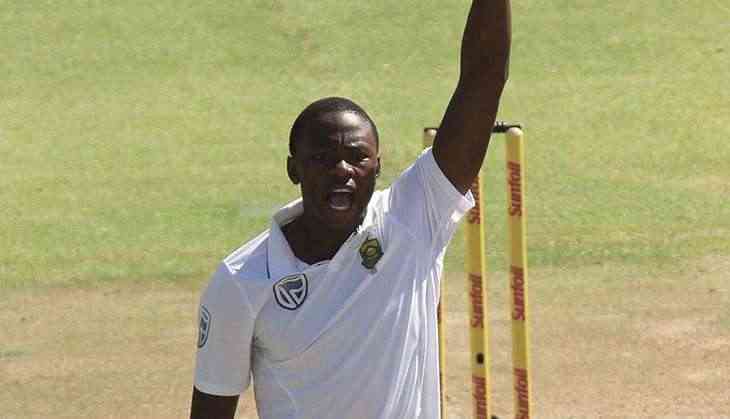 Rabada was suspended for the second Test in Nottingham after he was sanctioned by the International Cricket Council (ICC) for giving Ben Stokes a send-off in the first Test at Lord's. And his return to the line-up will definitely add an extra edge to the pace attack, which is already brimming with confidence after the emphatic win at Trent Bridge. "KG is one of our best bowlers," Sport24 quoted Langeveldt as saying at the squad's practice in London on Monday. "He is the type of guy who steps up when the heat is on. Having KG back is a big bonus for us. He is a youngster with a lot of energy. He will come with a lot of energy. I have no doubt he will step up." While most of the Proteas players returned physically and mentally refreshed at the squad's practice on Monday after a week-long break, the 22-year-old has been working very hard. "He did a lot of work before play during the second Test in Nottingham," Langeveldt said. "He bowled his overs and got his workload up, he will be raring to go. He has been positive," he said of Rabada's morale. "He was obviously disappointed about what happened but he has learned from that. The important thing about an incident like this is to learn from it so that it doesn't happen again. KG is a strong character and he was positive the whole week, he said come Thursday he wants to be ready for the Test," he added. England won the first Test at Lord's by 211. However, the Proteas made a fantastic comeback beating the Joe Root-led side by 340 runs at Trent Bridge to level the series 1-1.